The show is one week away and we’re really excited over here at planning headquarters. 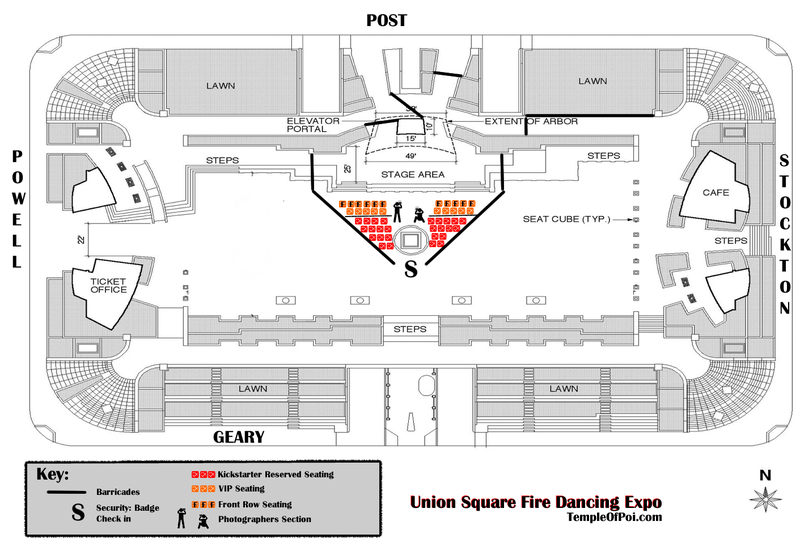 We’ve created a web post with seating information as well as the 2014 Fire Dancing Expo Lineup. The show is in Union Square between Geary and Post on the South and North sides of the square and Powell and Stockton on the West and East sides of the plaza. If you will be traveling by car, there is a garage below the plaza with entrances on post (heading Eastbound) and Geary (either turning right off Stockton heading South or on the right side of Geary as you’re heading West past Stockton). The garage runs about $15. If you’re taking public transit, the Powell Street BART station is 2 blocks from the south west corner of the Union Square. There are bathrooms located in Macy’s and other shopping areas. If you are parked in the garage, you can use the parking pass for the garage to gain access to the bathrooms below the Post Street side of the plaza. As a reminder, if you purchased tickets through the Kickstarter, you will be able to pick up your tickets at the Security Check point as indicated on the map below. 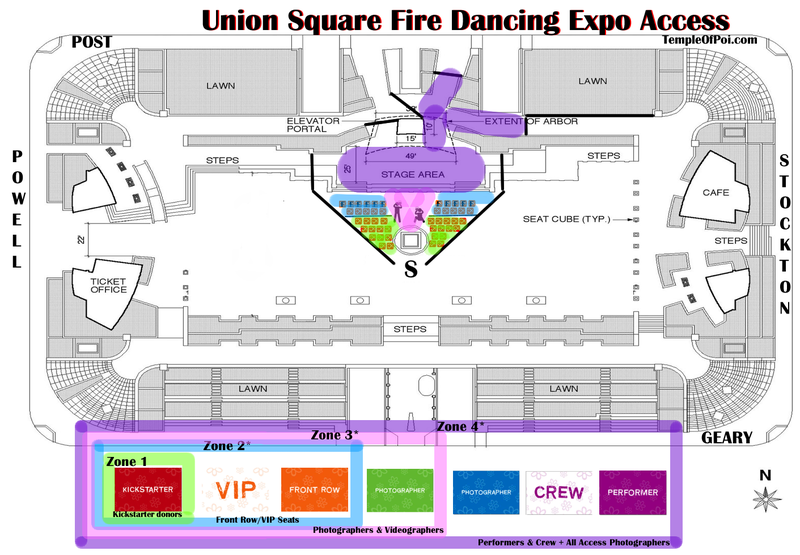 All donors, photographers and crew will get passes they will need to get through the check points on the plaza to restricted areas. The following map shows what your pass will look like and the areas to which it gives you access.